People around the world love Korean artists. They have big fan bases in any parts of the globe. The reason behind these are their unique characteristics that people really adore. They have the cutest smiles, adorable eyes and wonderful talents. In the Philippines, Filipinos really love Korean artists. Whenever one of these Korean artists visited the Philippines for Mall shows, Big Concerts, Album Signing and Fashion Shows, they really go there to meet their Oppa’s( OPPA means “Older brother, male friend” in Korean. Here is an interview from Ms. Yana Limbo, a Kpop Addict and Kpop music lover. These are the questions that I asked her and her answers. I don’t bash our own local artists. They have the talent and the beauty but it would be much better to add some passion to their performances. Common audience can’t see it that’s why they look for people who have the talent, the face and the passion. I just state my personal opinions and observations. 1. Do you like Korean artists? Who are your favorite Korean artists? Of course, I do. I like them all. But my most favorites are SNSD and JYJ/DBSK. I also like Super Junior, Big Bang, Sistar, Wondergirls and B2st. 2. What are the characteristics that you love about them? 3. Can you compare the local artists nowadays and the Korean artist that you love? Well, the artists here are also very beautiful. They have the talent and all, but the way they show them to the audience is not enough. They are usually not synchronized when they dance. Korean idols are really good at dancing. They put a lot of effort to make their performance as perfect as possible. Here, dancers only show their faces and not their talents (if there really are). I really don’t like when they dance so malamya. It’s like they didn’t do any rehearsal at all. Singers here are VERY good! That is our advantage. Singers here in our country are much better. I usually watch their music videos as well as their live performances. They way they perform on stage is really excellent. I think that’s also the reason why there are a lot of KPOP fans all over the world. They see their idols passion on stage. They don’t only dance, they PERFORM! 5. If you were given the chance to meet one of your favorite Local artist and Korean artist in the same time but different place? (here in the Philippines) who will you choose? Of course I will choose the Korean idol. They will come here once in a blue moon, so better grab the opportunity to see them. I don’t have any local favorite artist nowadays aside from sir Chief and Maya. They won’t leave the country.. Korean idols only stay here a day or 2. 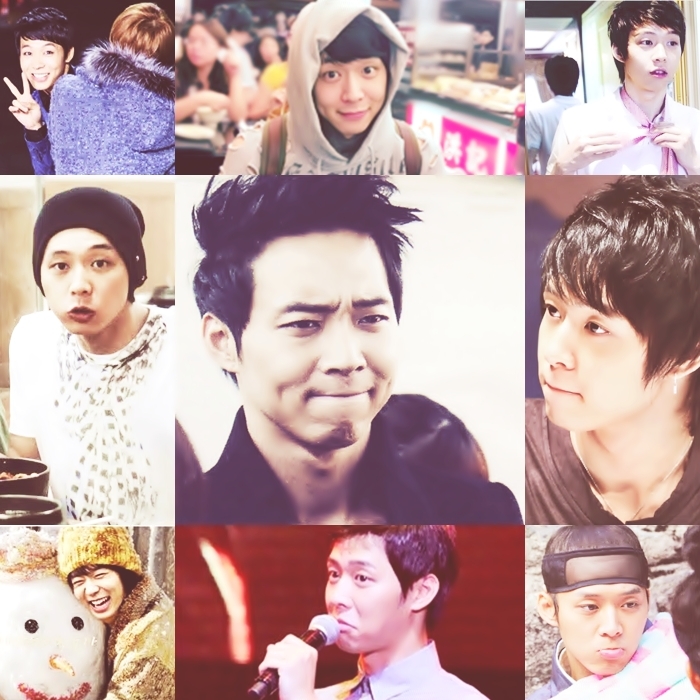 To sum this up, I will choose the Korean artist, especially if it’s Park YooChun!